The Scindias (Sindhia or Shindes, as they were originally known), were the ruling dynasty of the princely state of Gwalior (now in the central Indian state of Madhya Pradesh). Their rule started in the mid-eighteenth century and continued through to the mid-twentieth century, until all the princely states were merged into the republic of independent India. The Shindes (Anglicised as Scindias) were a Maratha family hailing from Maharashtra. They were said to be a Kshatriya family with the name Sendrak, which later became Shinde. Their patriarch, Ranojirao Shinde, accompanied the Maratha Peshwa Bajirao I in his northern campaigns. He was later stationed in central India as the representative of the Satara throne. Later the Scindias were presented with fiefs in the regions they controlled. Subsequently, when the power of the chhatrapatis of Satara and the peshwas of Pune waned, the Scindias continued as kings in their own right, ruling from their capital Gwalior in the present day state of Madhya Pradesh. Following the destruction of the Maratha empire, the Scindias aligned themselves with the British and ruled their state of Gwalior autonomously. 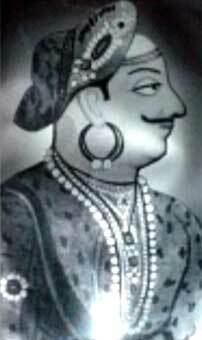 Ranojirao Shinde (1731-1745) was the son of Jankojirao Shinde, the patil of Kanherkhed, a village in the present day Satara district. He joined the services of the first peshwa, Balaji Vishwanath, due to the good offices of one Ramchandrapant Sukhtankar. Ranoji soon rose through the ranks thanks to his integrity and valour. He accompanied Peshwa Bajirao I in his expeditions to the north and was in charge of his Malwa and Rajputana campaigns. Ranoji was later appointed subedar of Malwa and he promptly instated his mentor, Ramchandrapant Sukhtankar, as his diwan. 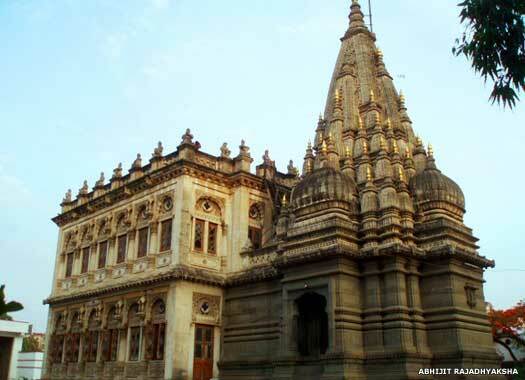 Ranoji was based in Ujjain as one of the representatives of the Maratha throne in central India, along with the Holkars. Ranoji had two wives, one of whom was Nimabai while the other was a Rajput wife called Chimabai. Ranoji had three sons from Nimabai; Jayaji, Jyotiba (martyred at the Battle of Kumbheri near Deeg in 1760), Dattaji (martyred while fighting Najibkhan Rohilla in 1760, a year prior to the Battle of Panipat), and two from Chimabai; Tukoji (martyred at the Battle of Panipat in 1761), and Mahadji. All of Ranoji's sons were brave and left an indelible mark during their short lives. 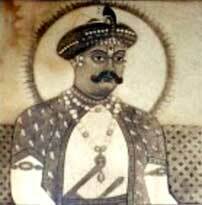 Jayappa Shinde (1745-1755), who was also known as Jayaji, was the son and successor of Ranojirao Shinde. He helped his father consolidate Scindia power in Rajputana and was a very brave commander. He was murdered at Angora in consequence of the politics of Rajputana while collecting revenue for the Maratha state. Jankoji Shinde I (1755-1761) son and successor. His uncle Dattaji served as his regent. Jankoji participated in several battles with his uncles and was a very valorous commander. He died a year after the Battle of Panipat, after being taken prisoner by the Afghans and later executed. Mahadji Scindia (born 1730-died 1794), also known as Madhavrao I, was the uncle and successor of Jankoji. Power didn't come Mahadji's way very easily. There was opposition to his succession from his own family in the form of Sakhubai Shinde, the widow of Jayappa. 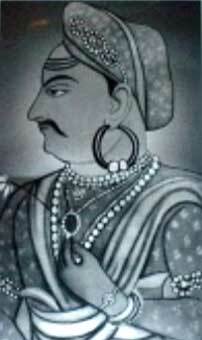 Besides Sakhubai there was also resistance from Raghunathrao, the uncle of Peshwa Madhavrao and acting regent. After the death of Balaji Bajirao, his brother Raghunathrao, being the senior-most member of the family, was overseeing the administration, since Madhavrao, the successor of Balaji Bajirao, was just a minor. Raghunathrao had earlier tried making Kedarji Shinde, son of Tukoji, the successor to Ranoji, but Kedarji refused to be a part of any conspiracy against his uncle Mahadji, whom he considered to be better qualified to succeed. Raghunathrao even put forth the name of Manaji Shinde, the grandson of Sabaji Shinde, a war veteran of the Attock campaign. Something that should be noted is that Manaji later shifted loyalties from the Marathas (in 1777) and defected to Hyder Ali's camp at Mysore. Meanwhile, the Marathas were in the process of conducting a siege at Gohad in 1767. The Gwalior fort was then under the control of the Jat king of Gohad. The siege itself was proving to be quite tiresome for the Marathas. That was the point at which Mahadji himself intervened and brought about an amicable settlement between the Marathas and the Jats. This impressed Peshwa Madhavrao, who by that time had come of age and was a master of his own destiny. In 1768, after conferring with his ministers, including Malharrao Holkar, Nana Phadanvis and Haripant Phadke, Madhavrao Peshwa declared Mahadji Shinde to be the true successor of the Scindia clan. Earlier, since the age of ten, Mahadji Shinde had participated in several battles, in Karnataka, Berar, Rajputana, Malwa, Bundelkhand, Rohilkhand, Delhi and in the Jat regions under his illustrious brothers. He had impressed many with his valour. All by himself Mahadji had captured the town of Mathura in 1755. He was just twenty-five years old at the time. Being a devotee of Lord Krishna, he rebuilt several dilapidated temples in Mathura and even set up a school for the teaching of Sanskrit. Mahadji had also participated in the Panipat war of 1761 and was lucky to come out of it alive, thanks only to the services of one water carrier named Ranekhan (who was to later become one of Mahadji's closest aides) when he pulled the badly wounded Mahadji to safety. The battle of Panipat had left Mahadji with a leg infection that gave him a lifelong limp. He was also conversant in Sanskrit and Persian, besides being trained in the art of warfare from a very early age. Thanks to all of this, following the death of his brothers it was fully expected that Mahadji would be the rightful successor. From then onwards, Mahadji Shinde accompanied Sardar Visaji Krishna Biniwale in consolidating Maratha power in the north. Mahadji reined in several Rajput, Jat and Rohilla kings and established Maratha supremacy in the north. In 1772, Mahadji Shinde weaned Shah Alam away from British influence and installed him on the throne at Delhi. The grateful emperor appointed Mahadji Shinde as his vakil ul mutalak, or honorary regent. Mahadji had this title transferred away from the Mughal emperor to the peshwa and Mahadji professed his loyalty to the peshwa alone. Madhavrao Peshwa died in 1772 and his brother Narayan Rao was made the next peshwa. This move was resented by his uncle, Raghunathrao, who already harboured ambitions of becoming peshwa since the time of Madhavrao. It is said that he and his wife, Anandibai, conspired in the murder of Narayanrao, and Raghunathrao became the next peshwa. But this angered many in Pune and eventually a council of twelve ministers called the Barbhai deposed Raghunathrao and made the infant son of Narayanrao, Sawai Madhavrao, the next peshwa. Mahadji Shinde was one of the members of this Barbhai council. In 1777, Mahadji Shinde assisted the peshwa to fight off assaults by the chatrapati of Kolhapur. Meanwhile, Raghunathrao, the deposed peshwa, sought the help of the Bombay British government to have him instated as peshwa. The British responded and what followed was the first Anglo-Maratha War. In 1779, Mahadji's forces encircled the British at the Battle of Wadgaon and forced them to accept a treaty by which they would abandon Raghunathrao and instead take charge of several regions around Bombay. But the British governor-general, Warren Hastings, refused to honour the Treaty of Wadgaon, citing that the Bombay government had no authority to sign any treaty in the first place. Warren Hastings despatched forces under Captain Goddard, in the west, Captain Popham, in the north, and another under Major Carmac and captured many of Mahadji's provinces in the north. Mahadji's managed to counter British assaults on some occasions while being defeated on others. This was proving to be a stalemate of sorts. This stalemate led to the Treaty of Salbhai in 1782, by which it was agreed that the British would henceforth refuse assistance to Raghunathrao and pension him off. Also, Mahadji's captured territories would be returned to him. The British also agreed to accept Sawai Madhavrao as the legitimate peshwa. The British also recognised Mahadji Shinde as an independent king with Gwalior as his capital and no longer to be viewed as a vassal of the peshwa. It was decided that northern India (west of the River Yamuna) was to be declared Mahadji's area of influence and the Deccan would be the peshwa's area of influence. This move by Mahadji to dissociate himself as a vassal of the peshwas (even though he continued to serve as a general in the Maratha army) may have been the start of the mistrust which arose between Mahadji Shinde and Nana Phadanvis, regent for Peshwa Sawai Madhavrao. The fact that Nana Phadanvis and Mahadji Shinde had become competitors at the peshwa's court at Pune also did not help. In 1783, Mahadji Shinde wrested back the strong fort of Gwalior from Chhatar Singh, a Jat king, and established himself there. 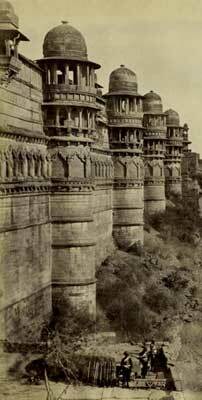 Gwalior had earlier changed hands between the Mughals, the Marathas, the British and the Jats. But it was Mahadji who regained this jewel for the Maratha crown. Meanwhile, Mahadji Shinde had employed the services of an ex-French East India Company commander by the name of Benoit de Boigne. Benoit helped convert Mahadji's army into a disciplined and more lethal unit, trained on European lines. Mahadji's other trusted men were competent people, individuals such as Ambuji Ingle, Rana Khan, Rayali Patil, Jivbadada Bakshi, Ladoj Deshmukh, and so on. With these forces, Mahadji Shinde became a power to be reckoned with in northern India. In 1788, Mahadji reacted to the plea by the Mughal Emperor Shah Alam II, who was blinded and deposed by the Rohillas led by Ghulam Qadir. Mahadji rushed with his forces to help the emperor, and they defeated the Rohillas at Delhi. Shah Alam was reinstated as the Mughal emperor. Mahadji wanted to extend his influence in the north, so he sent several letters to Pune for financial help. But his pleas were sidelined for one reason or another by Nana Phadanvis. Nana Phadanvis, the peshwa's regent, was becoming very suspicious of Mahadji's growing stature in the north. He feared that Mahadji would soon outgrow his influence over the peshwa. Therefore instead of providing timely financial help, he tried to undermine Mahadji's authority by sending two more generals to the north; Tukoji Holkar and Ali Bahadur, the grandson of Peshwa Bajirao I (through his Muslim wife Mastani). Both proved to be a hindrance rather than a help to Mahadji. They appeared to be trying to overrule his authority by flirting with his enemies. The Holkars were already alarmed by Mahadji's growing successes and bitterly resented his rise to power. Their rivalry had lasted since the days of Mahadji's campaigns in Rajputana. Often the Holkars and Shindes were seen to support opposing factions. Nana Phadanvis took advantage of this very fact. Mahadji was later to defeat Tukoji Holkar's forces at Lakheri in 1793, while Ali Bahadur was to form his own state of Banda in Bundelkhand. As Mahadji Shinde really was now the all powerful force in northern India, he was able to shrug off any attempts by Holkar or Ali Bahadur to overthrow him, and instead he established his control over many parts of northern India. He had by now reduced many powerful forces to nothing, whether they were the Jats or the Rajputs in the north or the Nizam or Tipu Sultan in the south. Eventually a truce of sorts was concluded between Nana Phadanvis and Mahadji Shinde through intermediation from the peshwa himself and via Nana's friend, Haripant Phadke. In the peshwa's court, Mahadji was even said to have held the peshwa's shoes in order to impress the peshwa with his loyalty. Many of his contemporaries dismissed Mahadji's genuine loyalty and gratitude as sycophancy, but the fact was that Mahadji Shinde remained loyal to the peshwas until his very end. Mahadji Shinde died at Wanaorie in Pune on 12 February 1794. Daulatrao Shinde (1779-1827) was the grand-nephew, adopted son and successor of Mahadji Shinde (being the son of Anandrao, or Madaji Shinde, who was in turn the son of Tukoji Shinde, the elder brother of Mahadji). Daulatrao was just fifteen when he succeeded his grand-uncle, Mahadji. He had to fight a bitter struggle against Mahadji's widows over property disputes, and he was also responsible for making Bajirao II the next peshwa after Sawai Madhavrao's untimely death. Unfortunately, he also entangled himself in the family disputes of the Holkars following the death of Tukojirao Holkar and eventually came to blows with swords with Yeshwantrao (Jaswantrao) Holkar, his illegitimate son. The Shinde-Holkar confrontation continued for a long time. Daulatrao also confronted the Powars of Dewas and Dhar. After making Bajirao II the peshwa, Daulatrao became his virtual regent. Daulatrao's interference in Pune's affairs eventually pushed Bajirao II into British hands. This led to the renewal of the Anglo-Maratha wars, which resulted in the defeat of the Marathas. 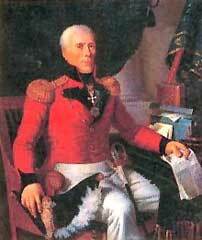 In 1817-1818, via the Treaty of Gwalior, Daulatrao resigned himself to being a vassal of the British. A major portion of his territories were ceded to the British. 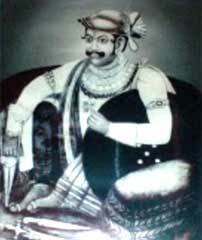 Daulatrao Shinde died in 1827. His wife, Baizabai Sahib, the daughter of Sardar Sarzarao Ghatage of Kagal, ruled as regent between 1827-1833. 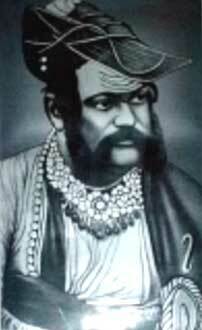 Since Daulatrao's only son had died in 1812, Baizabaisaheb adopted a son named Jankojirao Shinde II, the son of a relative named Patlojirao Shinde, and declared him to be Daulatrao Shinde's successor. Baizabai continued to rule the state as the regent of Jankoji II. In his lifetime, Daulatrao Shinde built several palaces and temples in his kingdom and was a patron of the arts, literature and music. Jankojirao Scindia II (1827-1843) was the adopted son and successor of Daulatrao Shinde. Jankoji II was married to Bejabaisaheb from the house of the Dabhades of Talegaon, and after her death he was married again, to Sarabaisaheb the daughter of Sardar Yeshwantrao Ghorpade, while his final marriage was to Tarabaisaheb. During Jankoji's period of rule in Gwalior the British gained ground in the state. Jankoji II constructed several temples, taals, and gardens in his lifetime, and he died in 1843. Jayajirao Scindia (1843-1886), also known as Bhagirathrao Shinde, adopted son and successor of Jankoji II. Since the only son of Jankoji II had died in 1837, Tarabaisaheb adopted a son named Bhagirath. He was renamed Jayajirao Shinde and Tarabaisaheb ruled as regent alongside him, in association with Mamasaheb, the maternal uncle of Jankoji II. One Dada Khasgiwale, the comptroller, overthrew Mamasaheb and became regent himself, but the British intervened and Khasgiwale was captured and imprisoned in Benares. The British took advantage of the dissension in the Gwalior court and acquired Chanderi district and some other lands in return for their help both in arresting Khasgiwale and for maintaining their regular contingents in case of any future danger which may present itself to the kingdom. During the 1857 mutiny, the Scindias sided with the British. Rani Laxmibai, the brave dowager queen of Jhansi, temporarily captured the fort of Gwalior, forcing Jayajirao to flee to Agra. But the British counter-attacked and the valorous queen was killed at Gwalior. Jayajirao later made the British exchange Jhansi for the Gwalior fort. In return for his services to the British empire, Jayajirao Scindia was awarded the title of Knights Grand Commander of the Star of India in 1861. In 1877 he became a counsellor of the queen-empress and later GCB & CIE.
Jayajirao is credited with a good deal of development work in Gwalior. He built several mansions, temples, and gardens and loaned funds for the Agra Gwalior and Rajputana Malwa Railway. Madhavrao Scindia II (1876-1925), or Madhorao, was the son and successor of Jayajirao from his fourth wife, Sakhyabaisaheb. He maintained his father's loyalty to the British. George Jivajirao Scindia (1925-1961) gave up his title to the Republic of India in 1947. He served as the rajpramukh for the state (an appointed governor in certain states and provinces during the period after 1947) until it merged with the state of Madhya Pradesh in 1956. He was married to Lekha Divyeshwari Devi (also known as Rajmata Vijayaraje Scindia) who hailed from the royal Rana family of Nepal. After the death of Jivajirao she became active in Indian politics and was elected a Member of Parliament for Jana Sangh (later the Bhartiya Janata Party, or BJP) until her death in 2001. George Jivajirao Scindia had six children; Padma Raje (who married into the royal family of Tripura and died in 1965), Usha Raje (who married into the royal Rana family of Nepal), Madhavrao Scindia (who served as a popular Union minister in the Congress government until his death in an air crash in 2001, just a few months after the death of his estranged mother, Rajmata Vijayaraje Scindia), Vasundhara Raje (ex-chief minister of Rajasthan), and Yashodhara Raje (BJP MP). The late Madhavrao Scindia's son, Jyotiraditya Scindia, is a promising politician and Union Minister of State for commerce and Industry, in the incumbent Congress government of India.